How great could this game be with Party support? Special rules for the owner of the leader's house? A low-probability/high-reward way to denounce the leader? Cards that allow you to snitch on non-leader players? Tractor sheds in place of the railroads? I get the dead capitalist piece! 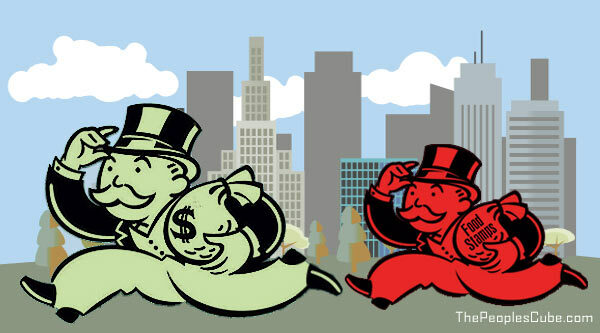 Can Socialist Monopoly compete with Capitalist Monopoly? I'm deciding who to snitch on, and who to denounce, for that kreative kapitalist... nonsense. Support The Coffee Party NOW!!! GREAT LEADER REHABILITATES "THE GREAT SATAN"